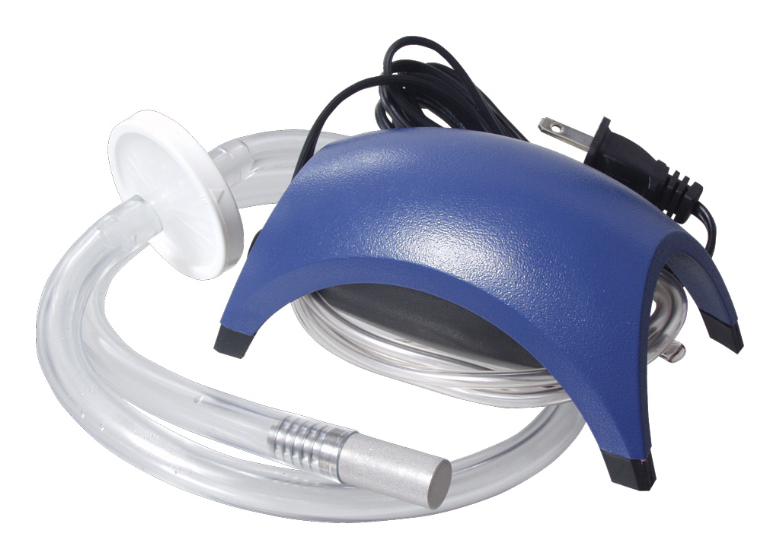 This system uses filtered air to oxygenate your wort. This Aeration System has an air pump that pushes filtered air through an inline sanitary filter, into a 2 micron diffusion stone, and then into your wort. Because the atmosphere is only about 20% oxygen, the diffusion stone must be left running in the wort for approximately 30-120 minutes (however even 5 minutes of aeration is better than shaking the carboy.) The filter ensures that the aeration is sanitary, however you do have to monitor the fermenter periodically for possible over-foaming. 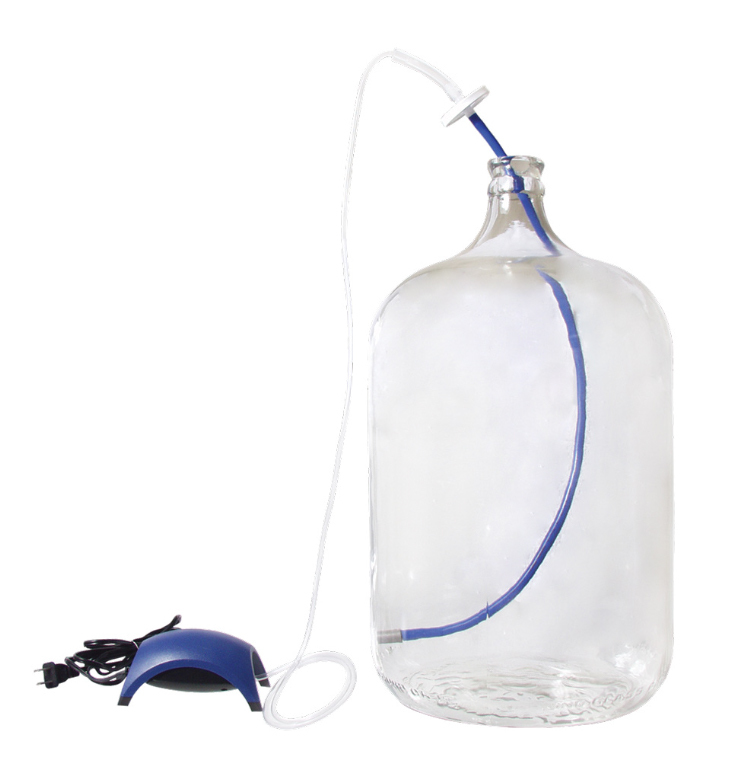 With this Aeration System, you won't ever need to buy replacement oxygen tanks, or shake another carboy ever again! While you are brewing, this system can also be used to pre-fill fermenters with sanitary air. Replacement filters, FIL90, which need replacement every few years, are available for $4.50. About the inline filters: There are two sides to the filter - an "in" and an "out". The direction you use doesn't matter, however, take note of which way you first push air through it and always keep it that way. We recommend drawing an arrow on the edge of the filter housing that we use to remind yourself which direction the airflow should be going. The filter should never get wet, so don't try to sanitize it by dunking it in sanitizer. If you want to clean the outside of it, use Alpet D2 (CL60). 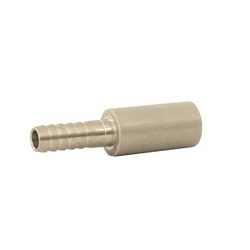 To store the filter, use a little tinfoil on the "Out" of the filter and store in a ziplock bag.